Have you ever wondered if diabetes can affect your teeth and gums? If you have poorly controlled diabetes, you may be at greater risk for certain dental issues. Recent studies suggest some people with diabetes may have trouble with infections of the gums and other symptoms of severe gum disease. Most of us know that diabetes affects your body’s ability to process sugar. But what does that have to do with your teeth and gums? It’s important to understand the role diabetes can play in your overall dental health. If you aren’t keeping your blood sugar under control, it can take a toll on your mouth. If you’re experiencing any of the above symptoms, you should call your dentist right away. Nearly 22 percent of people diagnosed with diabetes also end up with some form of periodontal (gum) disease. This happens because diabetes patients are at a higher risk for gum disease. Blood sugar disorder also makes it tough to fight infections, which allows tooth-decaying bacteria to make itself at home in your teeth and gums. 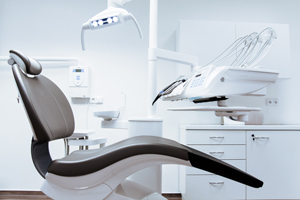 Whether you’re diabetic or not, regular visits to the dentist are important. But if you have diabetes, you may require extra dental care. Talk to your dentist about your diabetes and together, come up with a treatment plan to help you protect your teeth and gums. Proper blood glucose control, brushing and flossing daily, and regular dental visits can all work to help you prevent serious problems in your mouth. A beautiful smile begins with healthy teeth and gums. Dentistry at East Piedmont provides regular preventive care to help patients maintain gorgeous smiles for life. Proper home care and regular checkups are powerful tools to help you avoid future dental problems. Are you struggling with diabetic dental health concerns? Schedule an appointment with Dr. Patel or Dr. Buxton today or call our office at (770) 321-5558 to get on track to a healthier smile.